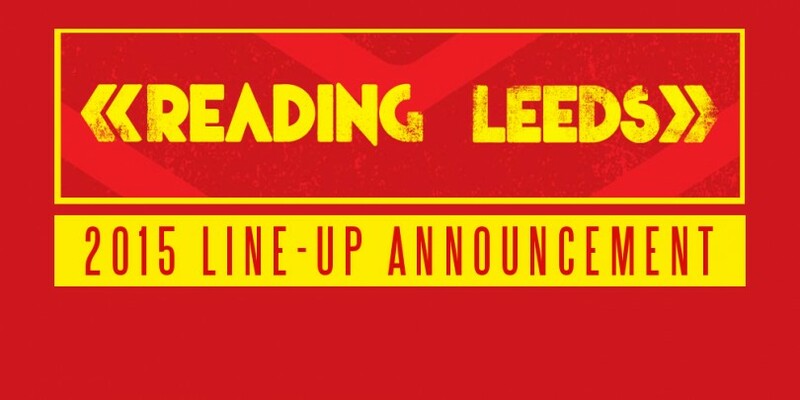 We’re in the midst of all the festival announcements and out comes another – this time it’s Reading & Leeds 2015 – and what a line-up it is! 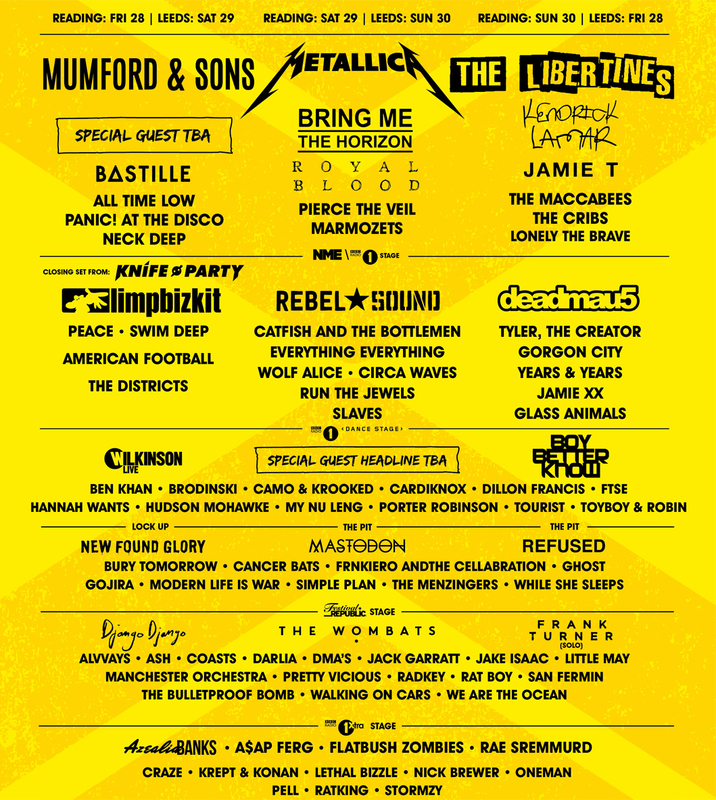 Joining the previously announced headliner, Metallica, will be Mumford & Sons making their first UK live début since their hiatus and The Libertines. The full line-up is below. Other gems include our own favourites, The Wombats, who are headlining the Festival Republic stage. Deadmau5 is bringing his new live experience to the NME/Radio 1 stage. 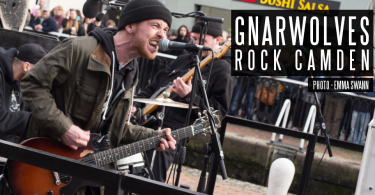 Also on the bill are Royal Blood who have recently been announced to support the Foo Fighters on their world tour, Bastille and Frank Turner will also be making appearances.